The quarterly Internationale Kirchliche Zeitschrift (International Church Review) was first published in 1893. It is the only academic organ of the Old Catholic Churches of the Union of Utrecht. As such, it is the leading resource for articles on developments in Old Catholic theology and the findings of academic research into Old Catholicism. The IKZ also reports on the perception of Old Catholic ecumenical relations, which have traditionally been closest with the Eastern Orthodox Church and the Anglican Communion. 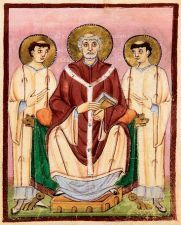 The “Kirchliche Chronik” (Church Chronicle) contains the official statements of the International Old Catholic Bishops’ Conference and important decisions of the local Old Catholic churches. It also covers important ecumenical events from around the world. In addition, the IKZ reports on the regular International Old Catholic Congresses, the International Old Catholic Theologians’ Conference, and Anglican/Old Catholic consultations. 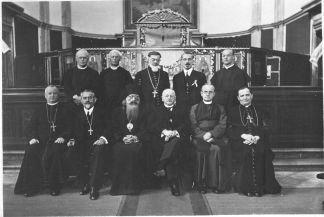 The first International Old Catholic Theologians’ Conference took place in Amersfoort in August 1950. 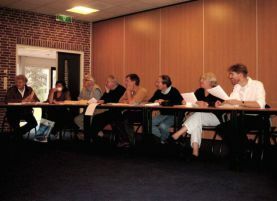 These ‘study meetings’, as they were first called, are open only to theologians but are not of an official nature because the participants are not represented in their official functions. The conferences provide stimulus and opinions on Old Catholic theology in general and the International Old Catholic Bishops’ Conference in particular. International Old Catholic contacts between young people were established soon after the foundation of the Union of Utrecht. However, the two World Wars made it difficult to maintain these contacts, and it was not until the early 1980s that an association was set up to foster relations between young people in the Old Catholic Churches. The International Old Catholic Youth association has a managing committee and a general assembly. Its members are the youth associations of Germany, the Netherlands, Switzerland, Austria, Poland and the Czech Republic. Currently the associations work together through contacts in these countries. Among their main activities are international summer and winter camps that include meditation and joint services. The roots of the International Lay Forum go back to the early 1990s, when calls were made for laypeople to be given more influence in the Union of Utrecht. For structural, ecclesiological and financial reasons it was not possible to implement the idea of an “International Lay Council”, but instead the International Lay Forum was created. Each year, laypeople from all of the Old Catholic Churches meet to discuss a theme they have chosen. The forum is not of an official nature.